Me Mammy is a British sitcom that aired on BBC1 from 1968 to 1971. Starring Milo O'Shea, it was written by Hugh Leonard. 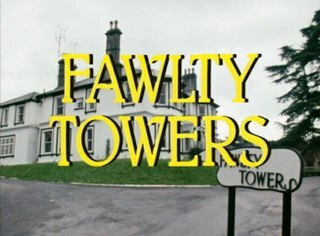 Fawlty Towers is a British television sitcom broadcast on BBC2 in 1975 and 1979. Just two series of six episodes each were made. The show was created and written by John Cleese and Connie Booth, who also starred in the show and were married at the time of the first series, but divorced before recording the second series. The show was ranked first on a list of the 100 Greatest British Television Programmes drawn up by the British Film Institute in 2000. Charlie and the Chocolate Factory is a 2005 musical fantasy comedy film directed by Tim Burton and written by John August, based on the 1964 British novel of the same name by Roald Dahl. The film stars Johnny Depp as Willy Wonka and Freddie Highmore as Charlie Bucket. The storyline follows Charlie as he wins a contest along with four other children and is led by Wonka on a tour of his chocolate factory. Synge Street CBS is a Christian Brothers School located on Synge Street, in Dublin 8, Ireland. It was founded in 1864. It has a particularly notable history of success in the Young Scientist competition, with former teacher Jim Cooke mentoring multiple winning student groups over many years. The Gaiety Theatre is a theatre on South King Street in Dublin, Ireland, off Grafton Street and close to St. Stephen's Green. It specialises in operatic and musical productions, with occasional dramatic shows. One of his first television appearances was on RTE in "O'Dea's your Man" (1964) in which he played the part of Ignatius opposite Jimmy O'Dea. 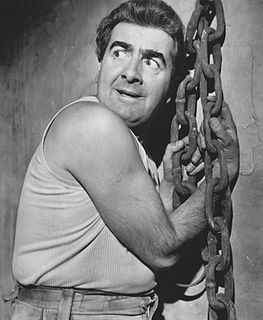 He went on to become a familiar face on British television with the BBC comedy Me Mammy , opposite Milo O'Shea and Anna Manahan. He went on to often-memorable guest roles on such series as Oh Father! , Never Mind the Quality, Feel the Width , and On the Buses , and particularly during the 1970s with a long-running role as the one-armed dishwasher Albert Riddle in the Man About the House spin-off Robin's Nest . He also had a regular long running role alongside Bruce Forsyth in both series of the comedy Slingers Day from 1986 to 1987. Milo Donal O'Shea was an Irish actor. He received two Tony Award for Best Actor in a Play nominations for his performances in Staircase (1968) and Mass Appeal (1982). Anna Maria Manahan was an Irish stage, film and television actress. 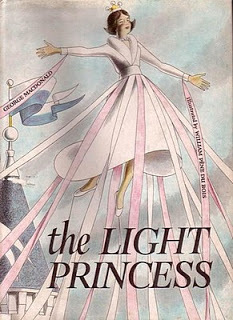 The Light Princess is a Scottish fairy tale by George MacDonald. It was published in 1864. Drawing on inspiration from "Sleeping Beauty", it tells the story of a princess afflicted by a constant weightlessness, unable to get her feet on the ground, both literally and metaphorically, until she finds a love that brings her down to earth. An animated version was released in 1978. In 2013, a musical version by Tori Amos and Samuel Adamson inspired by the original story was premiered for the Royal National Theatre in London. The stage production featured actress Rosalie Craig as the title character. The musical was generally well-received, enjoyed an extended run in the theatre, and had its cast recording released in 2015. Another musical also titled The Light Princess was written by Tony Lawton with music by Alex Bechtel, and debuted in April 2017 at the Arden Theatre Company. In Ireland, he may be most famous for his portrayal of the character "Rashers" Tierney in the 1980 RTÉ miniseries Strumpet City ,  which starred Peter O'Toole, Cyril Cusack and Peter Ustinov. He went on to have starring roles in television shows such as Emmerdale Farm in the 1980s and Glenroe in the 1990s, as well as playing the grandfather in Mike Newell's film Into the West (1992). Strumpet City is a 1969 historical novel by James Plunkett set in Dublin, Ireland, around the time of the 1913 Dublin Lock-out. In 1980, it was adapted into a successful TV drama by Hugh Leonard for RTÉ, Ireland's national broadcaster. The novel is an epic, tracing the lives of a dozen characters as they are swept up in the tumultuous events that affected Dublin between 1907 and 1914. 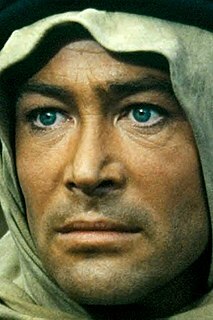 Peter Seamus O'Toole was a British stage and film actor of Irish descent. He attended the Royal Academy of Dramatic Art and began working in the theatre, gaining recognition as a Shakespearean actor at the Bristol Old Vic and with the English Stage Company before making his film debut in 1959. The Dubliners were an Irish folk band founded in Dublin in 1962 as The Ronnie Drew Ballad Group after its founding member; they subsequently renamed themselves The Dubliners. The line-up saw many changes over their fifty-year career, but the group's success was centred on lead singers Luke Kelly and Ronnie Drew. The band garnered international success with their lively Irish folk songs, traditional street ballads and instrumentals. 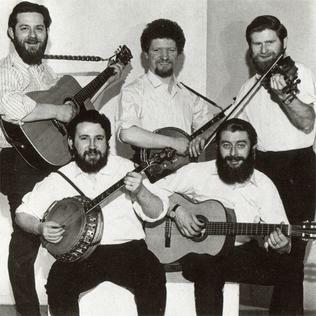 The band were regulars on the folk scenes in both Dublin and London in the early 1960s, and were signed to the Major Minor label in 1965 after backing from Dominic Behan. They went on to receive extensive airplay on Radio Caroline, and eventually appeared on Top of the Pops in 1967 with hits "Seven Drunken Nights" and "The Black Velvet Band". Often performing political songs considered controversial at the time, they drew criticism from some folk purists and Ireland’s national broadcaster RTÉ had placed an unofficial ban on their music from 1967 to 1971. During this time the band's popularity began to spread across mainland Europe and they appeared on The Ed Sullivan Show in the United States. The group's success remained steady right through the 1970s and a number of collaborations with The Pogues in 1987 saw them enter the UK Singles Chart on another two occasions. Francis O'Kelly, better known by his stage name of Frank Kelly, was an Irish actor, singer and writer, whose career covered television, radio, theatre, music, screenwriting and film. He played Father Jack Hackett in the Channel Four sitcom Father Ted, and was also the son of the cartoonist Charles E. Kelly. 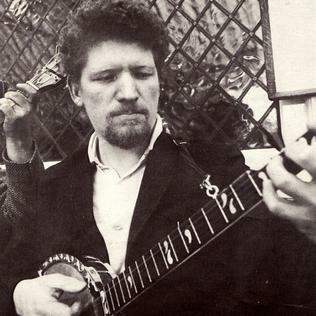 Luke Kelly was an Irish singer, folk musician and actor from Dublin, Ireland. Born into a working-class household in Dublin city, Kelly moved to England in his late teens and by his early 20s had become involved in a folk music revival. Returning to Dublin in the 1960s, he is noted as a founding member of the band The Dubliners. Becoming known for his distinctive singing style, and sometimes political messages, the Irish Post and other commentators have regarded Kelly as one of Ireland's greatest folk singers. Bryan Murray is an Irish actor. He plays Bob Charles in the soap opera Fair City. Brendan Cauldwell was an Irish radio, film and television actor. Waking Ned is a 1998 comedy film directed by Kirk Jones and starring Ian Bannen, David Kelly, and Fionnula Flanagan. Kelly was nominated for a Screen Actors' Guild award for his role as Michael O'Sullivan. The story is set in Ireland but was filmed in the Isle of Man. It was produced by Canal+ and the British studio Tomboy Films and distributed by the American company Fox Searchlight Pictures. Simon Delaney is an Irish actor, director and television presenter. He is known for appearances in a range of films and television series such as RTÉ's comedy-drama Bachelors Walk and CBS' legal drama The Good Wife, and in the films Zonad (2009), Delivery Man (2013), and The Conjuring 2 (2016). Delaney hosts the TV3 morning show Saturday AM. Frank Grimes is an Irish stage and screen actor. Enda Oates, occasionally credited as Enda Oats, is an Irish stage, film, and television actor. He has received attention for his stagework, but is best known to Irish television audiences as the Reverend George Black in the long-running series Glenroe for RTÉ, and as Barreller Casey in the sitcom Upwardly Mobile. Joseph Anthony "Joe" McKinney is an Irish stage, screen/television actor and voice-over artist. Bazil Ashmawy, commonly known as Baz Ashmawy, is an Irish radio and television personality, whose TV show 50 Ways to Kill Your Mammy won the International Emmy Award for Best Non-Scripted Entertainment award. In summer 2017, he hosted That Baz Thing on RTÉ Radio One. Ashmawy co-hosted Weekend Breakfast with Baz & Lucy on RTÉ 2fm in 2010, and co-presented the 2008 reality show Fáilte Towers on RTÉ One, as well as the popular travel show How Low Can You Go on RTÉ Two. In 2018 he began presenting ITV's new singing show – Change Your Tune. Cowboys was a British television sitcom that aired on the ITV network during the early 1980s. Strumpet City was a 1980 television miniseries produced by Irish broadcaster RTÉ, based on James Plunkett's 1969 novel Strumpet City. Laurence Kinlan is an Irish actor in films, television series and on theatre stage. He is best known for playing the role of Elmo in RTÉ's crime drama Love/Hate. Kieran O'Reilly is an actor, musician and producer. He is also the songwriter and lead vocalist with the Irish alternative rock band, Hail The Ghost. He is best known for his controversial role as Detective Garda Ciaran Madden in RTÉ's hit crime drama, Love/Hate. He currently appears in the History Channel series Vikings. Eileen Colgan Simpson was an Irish theatre, television and film actress. She was best known for her recurring role as Esther Roche on the RTÉ One soap opera, Fair City. She also appeared in the RTÉ television drama, Glenroe, as Mynah, the housekeeper of the priest. Her other television credits included Ballykissangel, The Hanging Gale and Strumpet City. Events during the year 2016 in Ireland. ↑ "Actor David Kelly Dies Aged 82". Irish Examiner . Thomas Crosbie Holdings. 13 February 2012. Archived from the original on 20 February 2012. Retrieved 13 February 2012. ↑ "Irish Actor David Kelly Dies Aged 82". BBC News. 13 February 2012. Archived from the original on 18 February 2012. Retrieved 13 February 2012. 1 2 3 4 5 6 7 Healy, Alison (13 February 2012). "Grand Old Man of Irish Acting Dies, Aged 82". The Irish Times . Archived from the original on 19 February 2012. Retrieved 13 February 2012. Kelly was born in Dublin on July 11th, 1929 and educated at Synge Street Catholic Boys School. ↑ One source, which interviewed him, gives 1928: "Why Life's Sweet for Oscar-Hopeful David". Irish Independent . Independent News & Media. 30 July 2005. Archived from the original on 4 November 2015. 1 2 Quinn, Michael (14 February 2012). 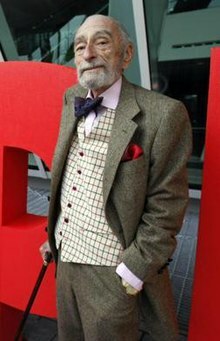 "Leading Irish Actor David Kelly Dies". The Stage . The Stage Media Company Limited. Archived from the original on 19 February 2012. Retrieved 14 February 2012. ↑ Anderson, Paul (13 February 2012). "Irish actor David Kelly, "Grandpa Joe," Dies at 82". Big Cartoon News. Archived from the original on 20 February 2012. Retrieved 13 February 2012. ↑ "David Kelly Dies Aged 82". RTÉ News and Current Affairs. 12 February 2012. Archived from the original on 20 February 2012. Retrieved 12 February 2012. ↑ "David Kelly, Irish Film Actor, Dies at 82". The New York Times . Associated Press. 18 February 2012. Retrieved 4 November 2015. ↑ "Funeral takes place of acting legend Kelly". RTÉ Ten. Raidió Teilifís Éireann. 16 February 2012. Archived from the original on 17 February 2012. Retrieved 16 February 2012. ↑ "Kelly, David – 1991". TheatreWashington.org. Archived from the original on 20 February 2012. ↑ "The 5th Annual Screen Actors Guild Awards". SAGAwards.org. Archived from the original on 20 February 2012. ↑ "Winners of the 3rd Annual Irish Film & Television Awards". Irish Film & Television Academy. Archived from the original on 21 July 2011.